LAMS approved sports tourer, perfect for the new rider. This example is finished in factory tangerine orange and is in excellent condition. Travelled a mere 21,000 kilometres , this example needs no spend and ready for immediate delivery. This is the most sort after colour scheme and this example comes with tank pad, pazo type anodized levers and bar ends. Same as the current model including ABS for safety. 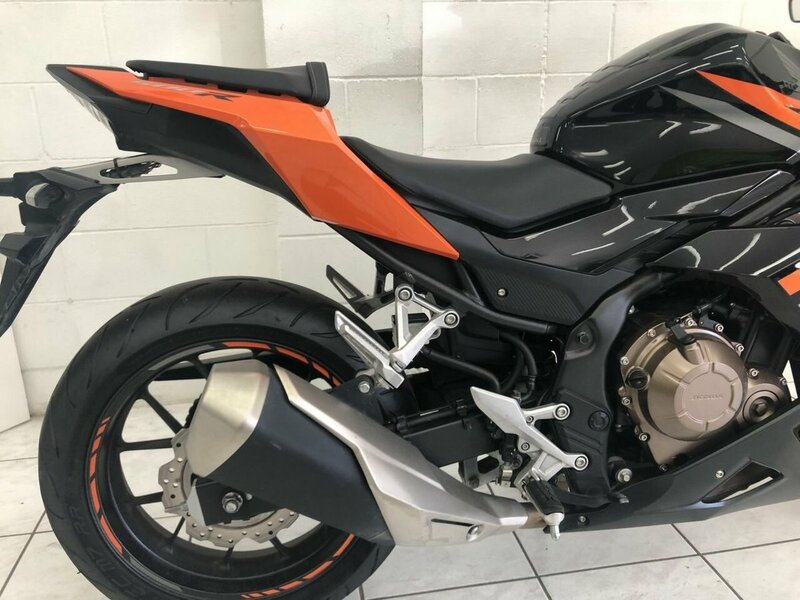 Dont delay.............^^With up to a 3 year warranty and the most competitive finance and insurance packages available, as Australia's largest motorcycle retailer no one makes it easier to purchase a Learner Approved Motorcycle. Plus we can organise to have your bike delivered directly to your door anywhere in Australia through our dedicated motorcycle freighters. This Approved Used Bike comes with a 49-Point Quality Inspection, 2-Day FREE Exchange and 90 Day Warranty Extension. Ensuring peace of mind, ease & convenience. An Approved Used Bike is the best choice in Australia for your next bike. Why buy elsewhere?